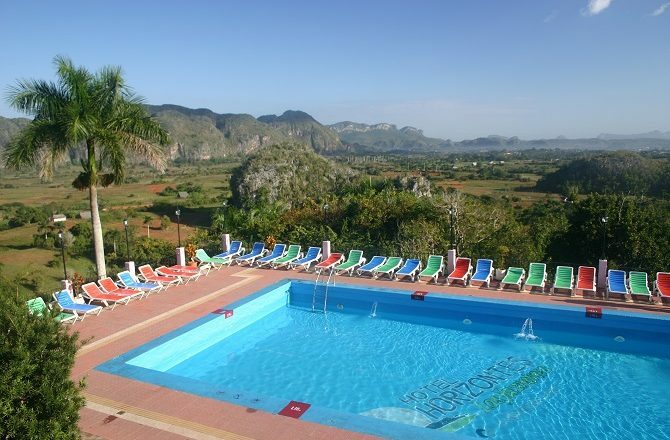 Even before Instagram, everyone loved a hotel with a view and there are a number of hotels in Cuba that tick this particular box. When I first visited Cuba, way back in the mid-90s, if you wanted a hotel with a view in Havana you were pretty much restricted to hotels in the Vedado & Miramar neighbourhoods, most notably the iconic Hotel Nacional. 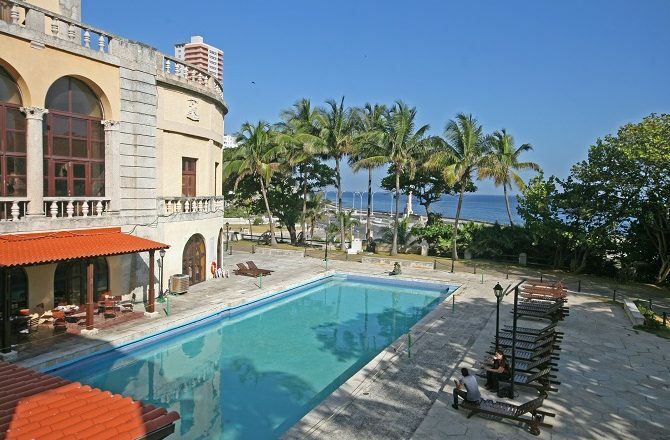 Thankfully, you can now stay in Old Havana, the city’s historic centre, and enjoy a variety of views. 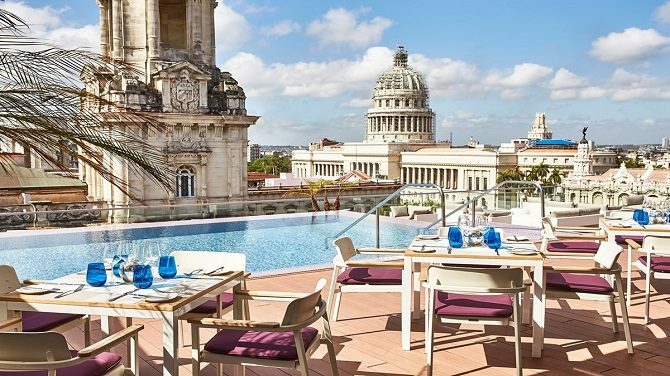 If it’s views of the city and its wonderful architecture that you’re after then it’s hard to beat the views over Parque Central from the rooftop of the luxurious Kempinski Havana hotel (below). 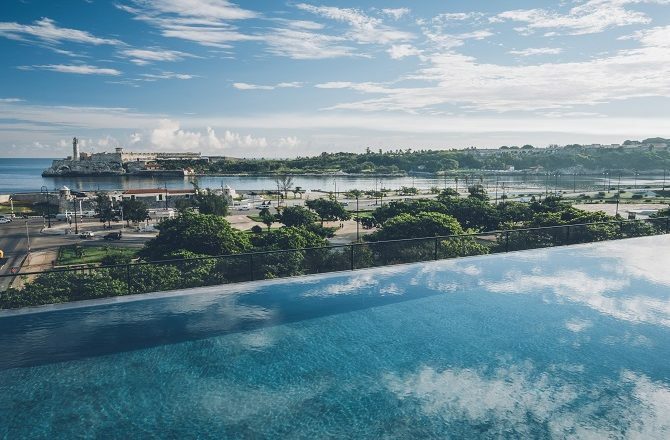 If you prefer views out to sea then the infinity pool at the equally luxurious Iberostar Grand Packard are just as impressive and only seem to improve after a few mojitos. 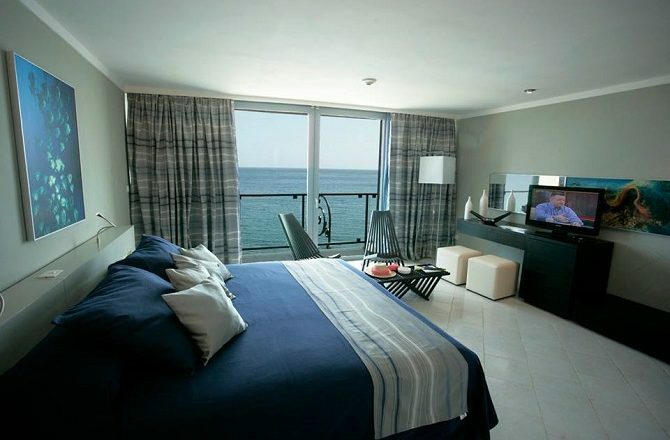 Alternatively, the rooms at the tiny Hotel Terral on the Malecon offer both great seaviews and some priceless people watching. 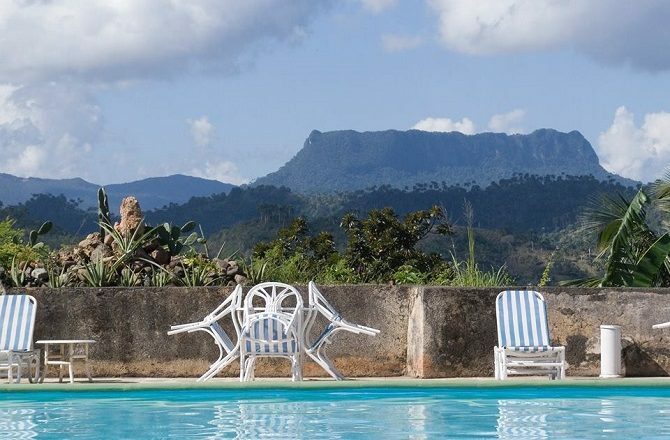 Although the majority of visitors to the Vinales Valley opt to stay in a casa particular in and around town, if it’s views that you’re after then it’s hard to beat Los Jasmines hotel (below) or, to a slightly lesser extent, its sister hotel, La Ermita. 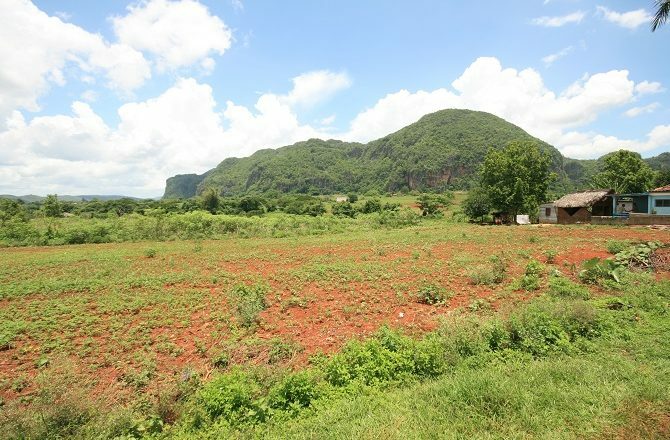 Alternatively, if you would rather stay at a casa particular in town, the views at the Casa Vista Al Valle aren’t too shabby. 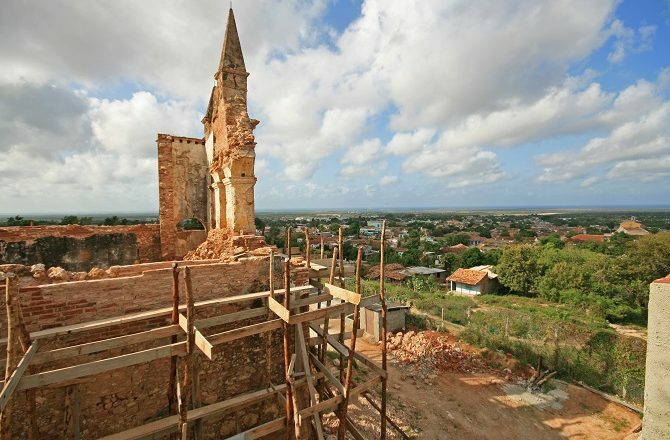 When it does finally open (later this year we are told…..again) the Pansea Trinidad will have superb views over Trinidad and out to the Caribbean. 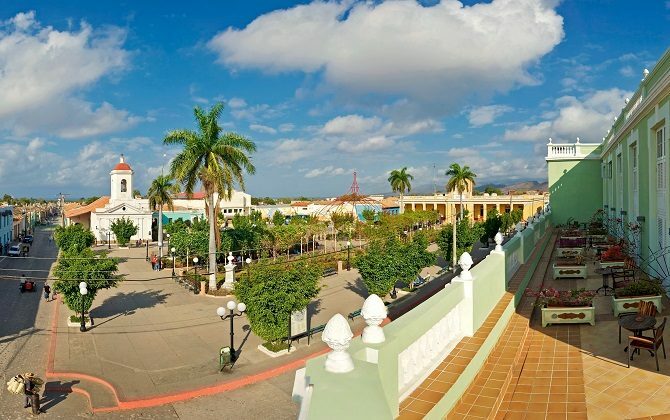 For now, the best hotel in town is the Iberostar Grand where a number of rooms have balconies with charming, if unspectacular views, overlooking Plaza Carillo. 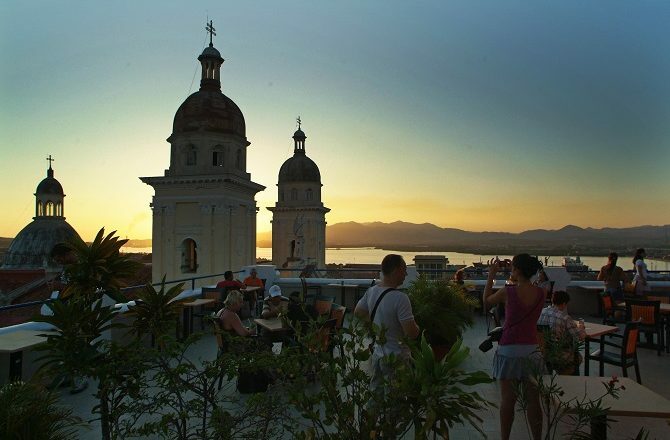 The rooftop at the relatively new Iberostar Imperial in Santiago de Cuba offers some pretty special views but, still, it can’t compete with the views from its own sister hotel’s rooftop bar and terrace. The Iberostar Casa Granda is located opposite the city’s historic Parque Cespedes so guests have a choice of views – people going about their business, the city’s main cathedral or Santiago Bay. 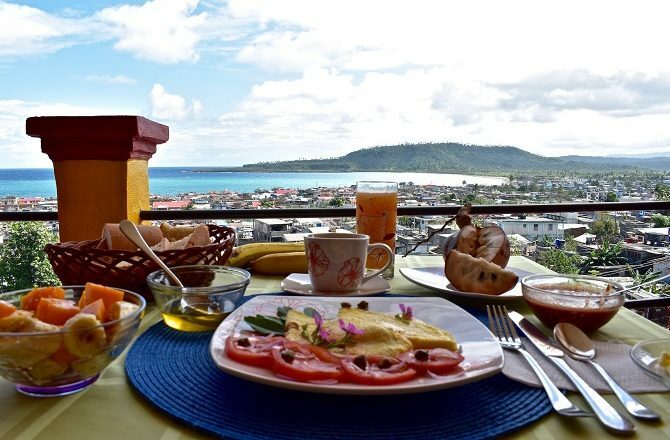 Baracoa has long been considered as a popular hang-out for independent travellers. 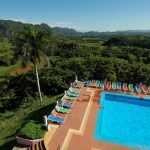 Sadly, hotel standards are amongst the most disappointing in Cuba although guests at El Castillo Hotel do at least benefit from wonderful views over town and towards distant El Yunque. Rather than staying at a hotel though, our advice is to opt for a casa particular and particularly the wonderful Villa Paradiso which amongst its many attributes, can also boast superb views of its own. 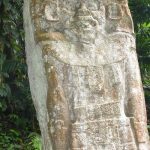 Cuba is one of the world’s most iconic travel destinations with a fascinating history, strong cultural identity and mile after mile of beautiful beaches. Go now, before it changes forever.